Commission Vice-President Maroš Šefčovič announced officially on Monday (17 September) his candidacy to be the leading candidate of his social-democrat political group in the campaign for the 2019 European elections. Šefčovič, a Slovak diplomat who heads up the EU’s Energy Union efforts, made the announcement in the European Parliament this morning. His move is not really a surprise, because he admitted he was going to run in a video interview with EURACTIV in July. 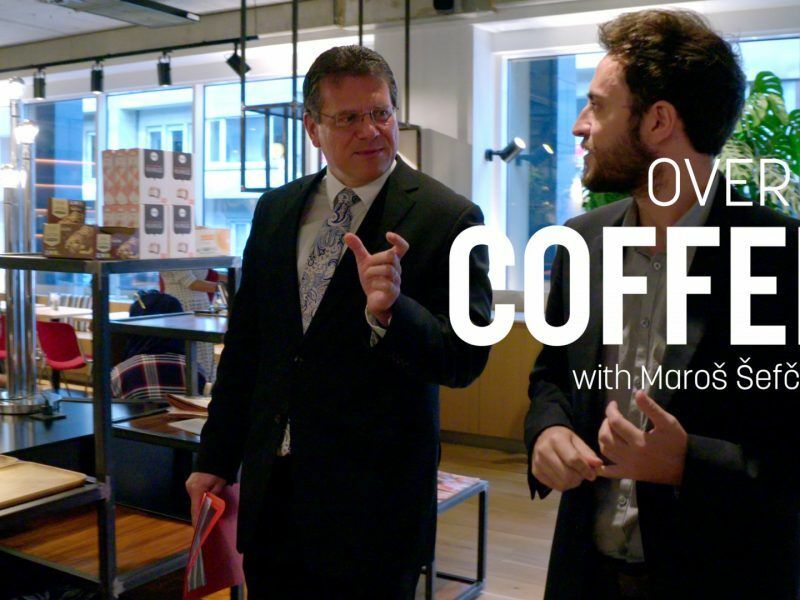 European Commission Vice-President Maroš Šefčovič meets with EURACTIV’s Sam Morgan over a coffee to talk about Europe’s climate policy, Nord Stream 2 and why he thinks he can succeed Jean-Claude Juncker in the top job. Šefčovič has served as a Slovak diplomat, and as such, he has not shown any political colour. Before relocating to the Brussels bubble, he has served in Zimbabwe, Canada and was ambassador to Israel. From 2004–2009 he was the Slovak Permanent Representative to the EU. Then Slovak Prime Minister Robert Fico put his name forward to be a European Commissioner and he took over the Education, Training, Culture & Youth portfolio from 2009 to 2010. In 2010, he was promoted to Vice-President of the Commission, a role he still holds. He has dealt with interinstitutional relations and the administration of the Commission. He campaigned in the 2014 European elections on behalf of the social-democrat group and won an MEP seat that he ultimately decided not to take up. In the Juncker Commission he secured a vice-presidency post again, this time responsible for the Energy Union. He has since gone on to broker several agreements, including with Russia and Ukraine. He is a fluent Russian speaker, having studied in Moscow. During the 2009-2010 campaign, the centre-right EPP group unfairly accused Šefčovič of anti-Gypsism. At the time, the EPP wanted the scalp of an S&D nomination, after Bulgaria’s candidate for Commissioner, Rumiana Jeleva, flopped during her hearing. At his own hearing, Šefčovič got the support of many MEPs, thanks also to a letter of support from Roma organisations. 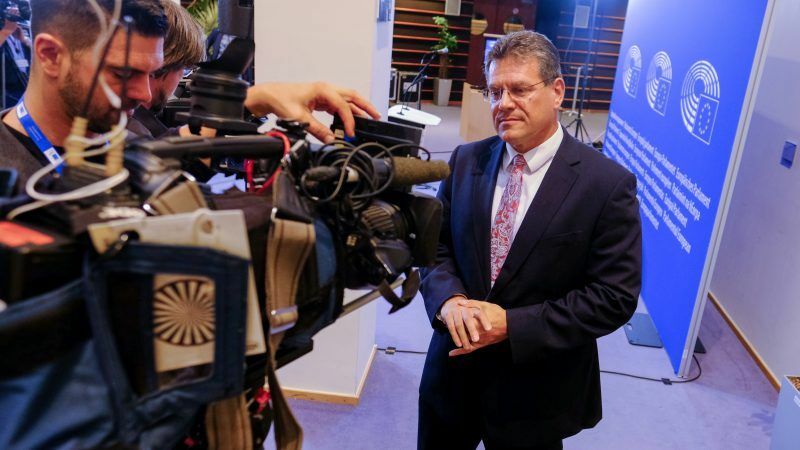 Maroš Šef?ovi?, Slovakia’s commissioner-designate, has won backing from Roma organisations in his country following attacks led by centre-right MEPs who accused him of “anti-Gypsyism”. Speaking to the press in the European Parliament today, Šefčovič focused on the need to overcome divisions in the EU between east and west, north and south. He said that what he found most threatening were the false promises of the populists across Europe. 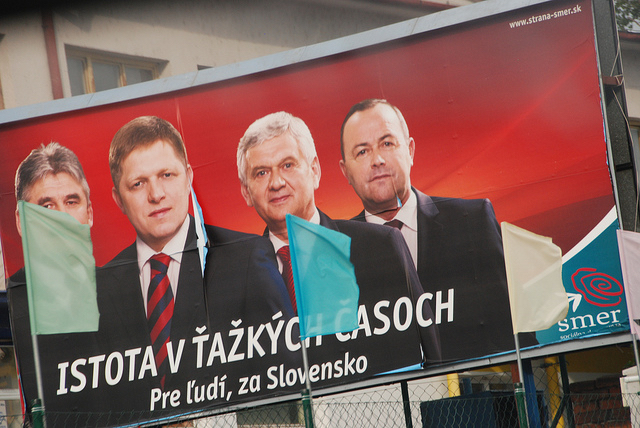 “They exploit peoples’ fears, legitimate disappointment or anger, they steal, twist and the sense of patriotism, they thrive on divisions, a they often play with fire, eager to destroy our European cooperation, our European dream”, the Slovak candidate said. The vice-president’s home country Slovakia is in no way immune to such populism and xenophobia, and the prime minister who twice put Šefčovič’s name forward for the Commissioner position has made xenophobic statements himself. Challenging the EU’s political correctness, Slovak Prime Minister Robert Fico said he will not allow a large Muslim community in his country. Fico’s anti-immigration rhetoric has boosted his Direction-Social Democracy party (SMER-SD) ahead of the 5 March elections. Šefčovič is the second European politician to officially declare his candidacy for the Spitzenkandidaten battle, after EPP group chief Manfred Weber did so on 5 September. 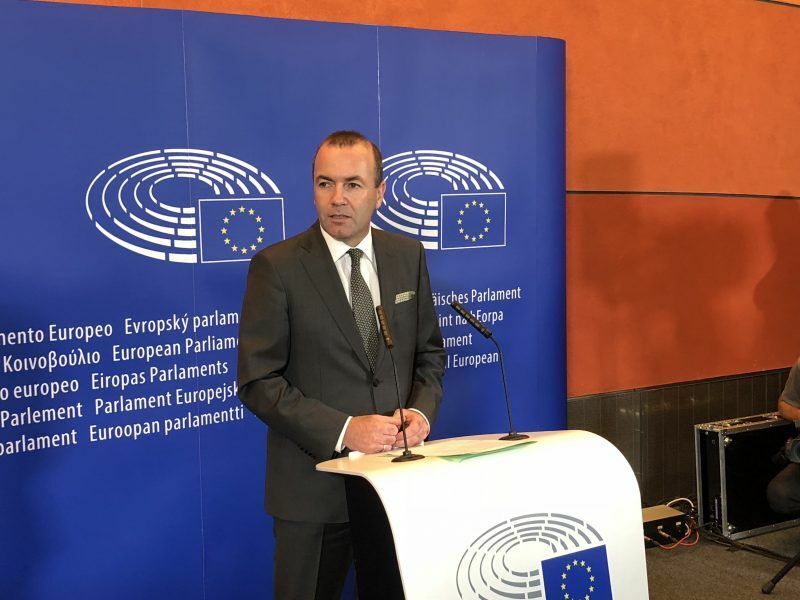 Manfred Weber, the leader of the European People’s Party in the European Parliament, announced on Wednesday (5 September) his candidature for the European Commission presidency on behalf of the centre-right party. But the kick-off event left reporters displeased, who were not allowed to ask questions in English. Other candidates are expected to throw their names into the hat from both political families. On the EPP side, Finland’s Alexander Stubb is seen as a more liberal alternative to Weber and Brexit negotiator Michel Barnier, who failed in 2014 to get the EPP nod, has also been touted as a possibility again. On the S&D side, France’s Commissioner for Economic and Financial Affairs, Pierre Moscovici, obviously wants the job, although it is uncertain if French President Emmanuel Macron will help him in the effort. Just what do these people stand for, in terms of specific policies for the next 5 years or so? Are they looking to implement the Presidents’ Report of 2016 in full? Do they believe in forcing/encouraging those eu members not part of the Eurozone into adopting the euro? How much more integration do they believe in? Do they want full political and economic control over all eu member states e.g.deciding their budgets and spending priorities, deciding unilaterally European foreign policy? Well, what do they stand for?